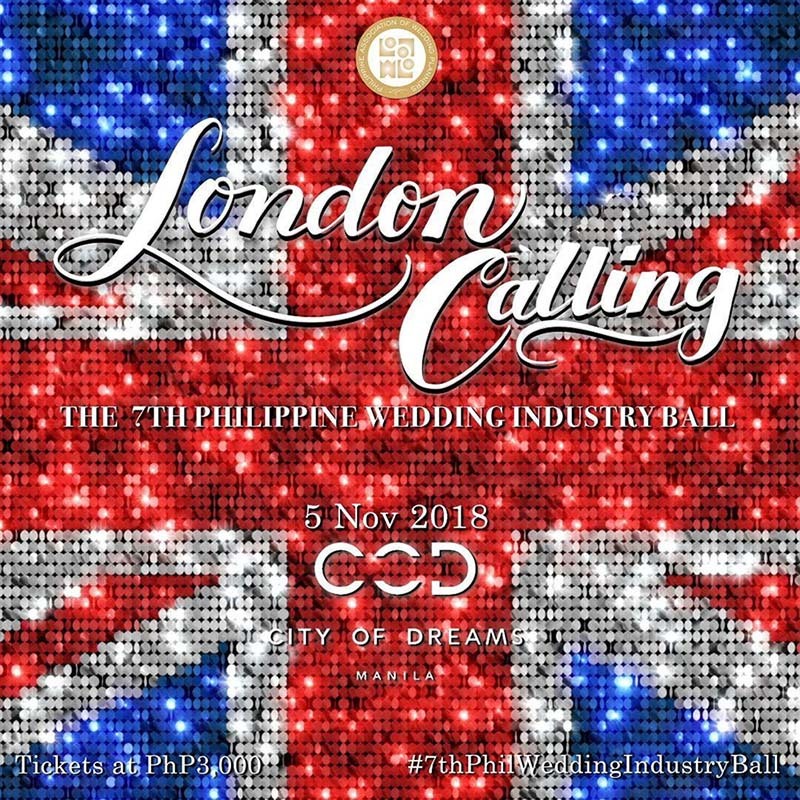 The 7th Philippine Wedding Industry Ball is on November 5, 2018 at The Grand Ballroom of City of Dreams Manila with this year’s theme, London Calling ! Expect to see the ladies don their fashionable hats and fascinators and the gentlemen in their fine tuxes as we dance the night away in some Beatles and British artists’ music. It will be another fun night for the wedding industry suppliers as we all gather and be the stars in this once a year industry party before we all head back behind the scenes for the busy wedding season. See you all on November 5! Davao, here we come! 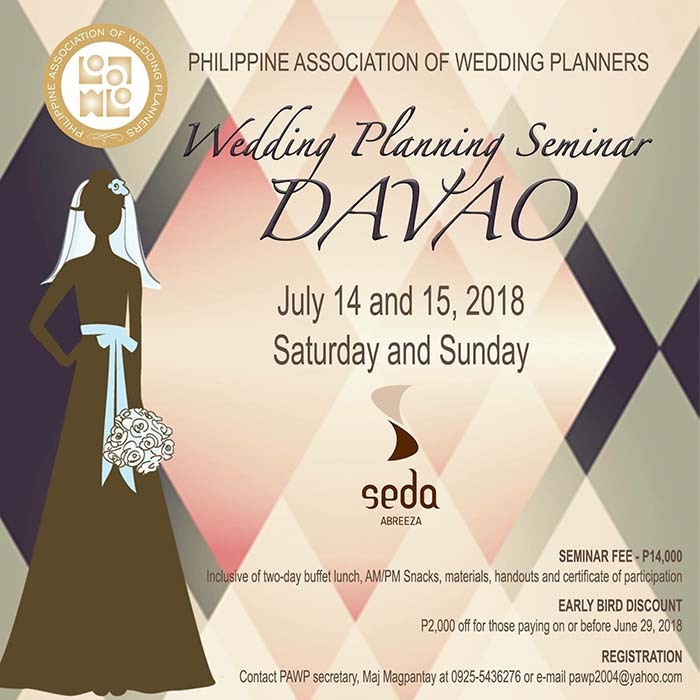 Our first out-of-town Wedding Planning Seminar will be held on July 14 & 15, 2018 at the Seda Abreeza Hotel . 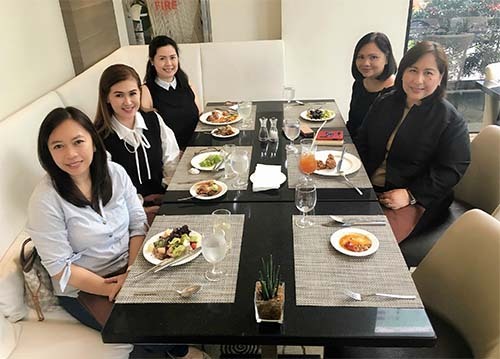 Sealing the partnership are PAWP’s Chairman of the Board, Ms Nenita Zagala with SEDA Abreeza’s Sales Manager, Ms. Jancris Radaza and Ms. Carmela Victoria Olipas, Banquet Sales Executive. We would like to thank Seda’s Group Director of Sales & Marketing, Ms. Melissa Carlos and Seda Abreeza’s Asst. 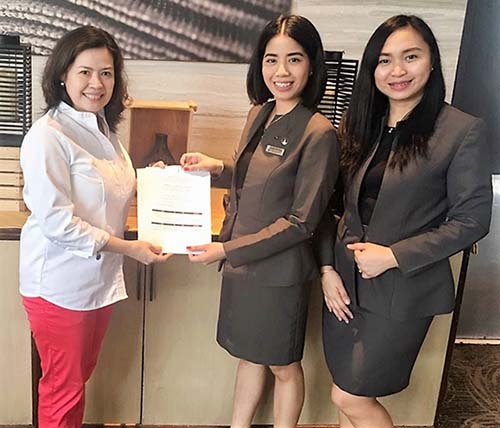 Director of Sales, Ms. Kathy Namuag, for supporting this endeavor. 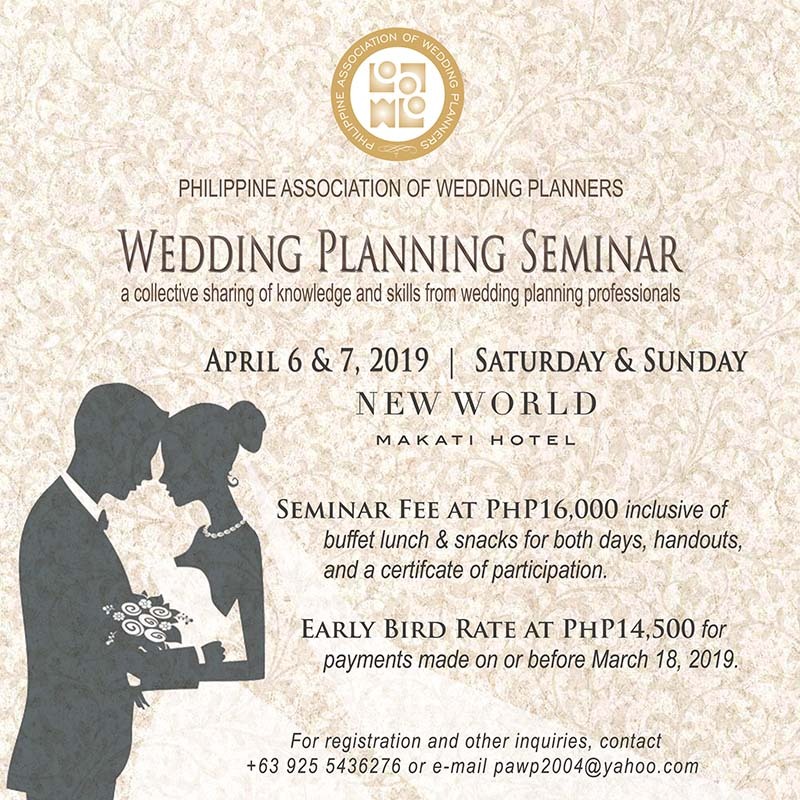 For inquiries and seminar registration, please call ?+63 925 543 6276? . See you in Seda Abreeza Davao!